A Classic Baguette style shoulder bag that fits nicely under your arm and is perfect for when you want to travel light. 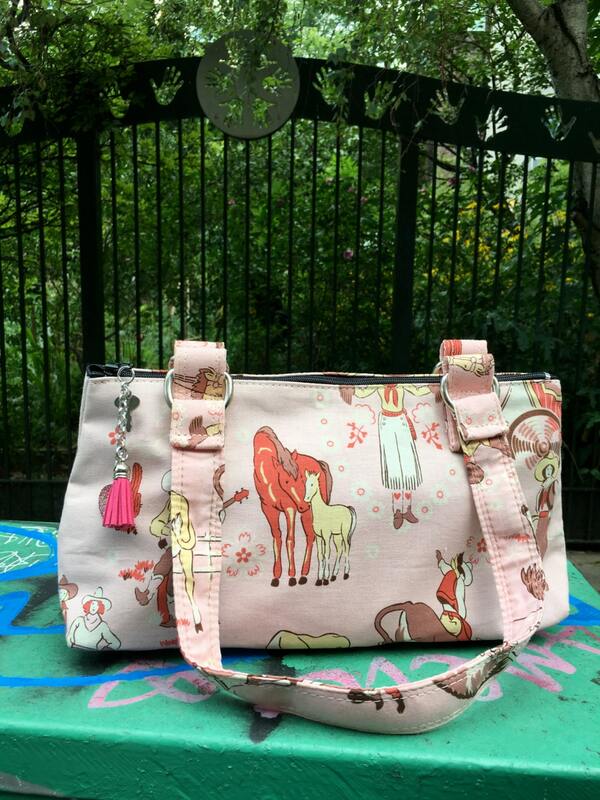 The cotton print is a vintage and western inspired pink and brown cowgirl design with hearts and horses. The interior of this bag is lined with a black lightweight water repellent canvas and features one pocket for your necessities. Other design details are the D Ring hardware for the straps, and the pink tassel zipper pull.